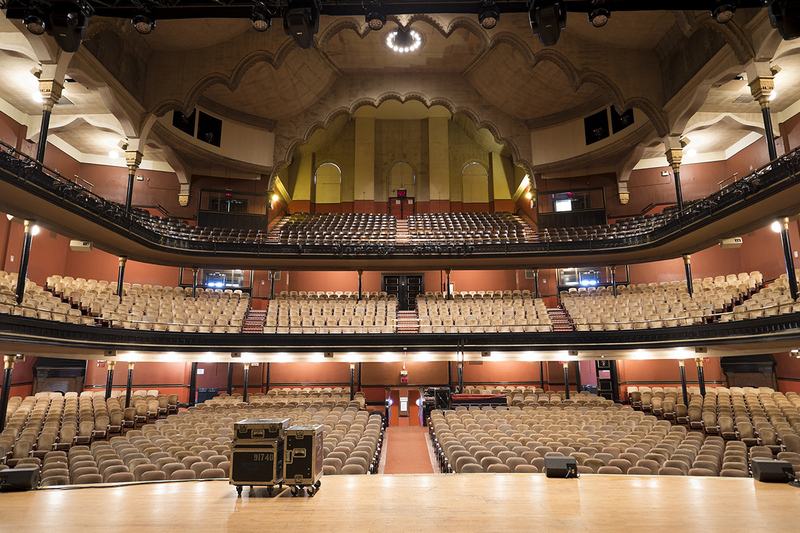 First opened in 1894, Massey Hall is one of Toronto’s oldest and finest performance theatres. The extensive revitalization of this heritage building will involve two phases. Phase 1 includes the construction of a two-storey basement and infrastructure that will be the foundation for an addition to the existing Hall. 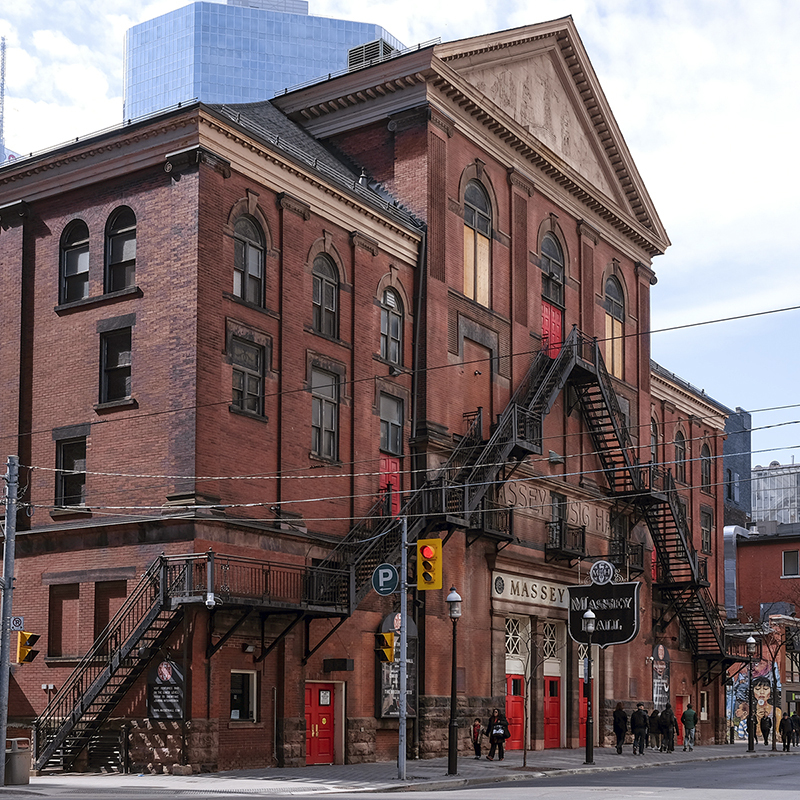 Phase 2 will include a six-storey addition that will accommodate a modernized back of house, a loading dock, two-level mechanical penthouse, backstage artist space, administrative offices, and technical and production facilities. In addition to the significant structural work, the project involves extensive restoration of the exterior envelope of the building and its interior spaces. The interior renovation will include upgraded auditorium seating and washroom facilities, modernization of mechanical and electrical systems, and the updating of theatrical lighting, rigging and sound systems. 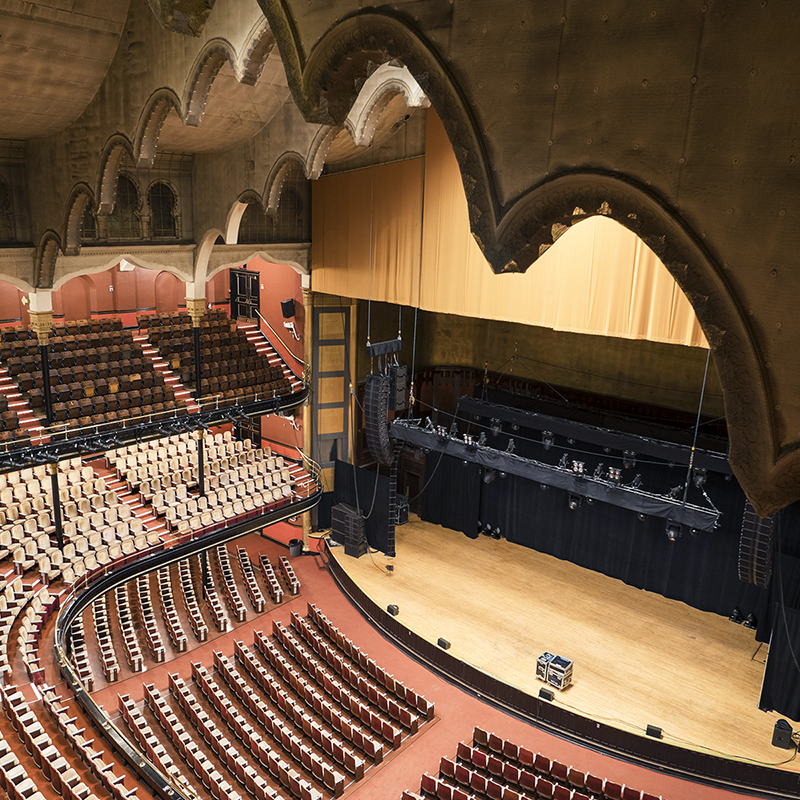 Challenge: Revitalizing the 122-year old heritage building to deliver an enriching concert experience for both patrons and performers while maintaining the rich character and history of the storied venue. Solution: We designed the passerelle to be hung from existing masonry walls enabling increased circulation for patrons. The rigging system over the stage was replaced with a new steel framework that allows for the use of modern equipment. All structural elements and connection details were designed with careful consideration for any impact on the existing heritage building focusing on maintaining the building in its intended condition.